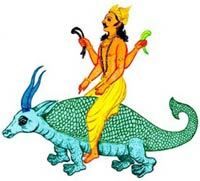 West direction is being ruled by Lord Varun and governed by element water which is the vital for survival. West is though have no significance attached with sacredness as it is with East and North but if West is utilized effectively then it yields incredible results with no obstruction wealth and health. The significance of West direction is commendable in terms of over-all prosperity if there are minimal Vastu defects. West direction is although not favourable direction yet it is the vital direction for survival being governed by essential element Water. West induces in occupants attributes of being bold, energetic, wealth and development. According to Vastu Shastra West direction is suitable for many specific region and ensuring any defect can save occupants from sufferings.